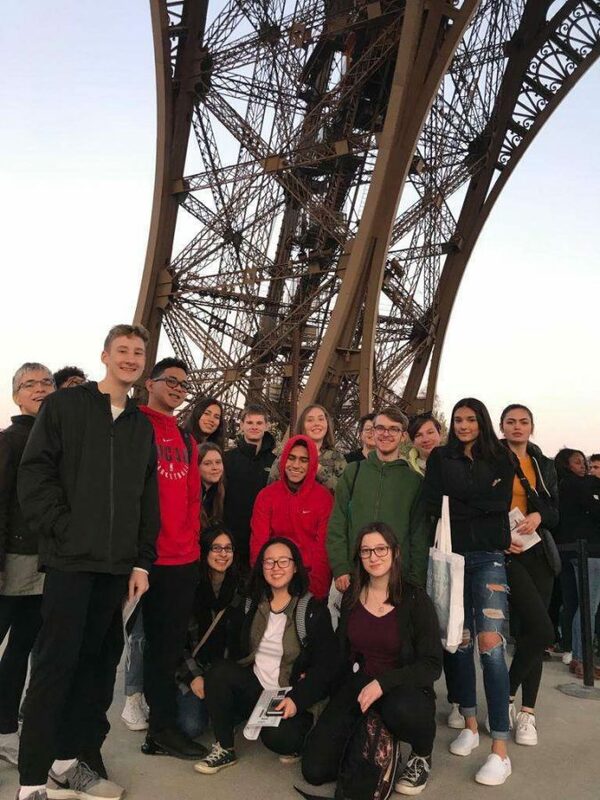 Eleven Niles West students enrolled in French courses this year had the opportunity to travel to Le Mans, France over spring break as a part of a French-American exchange program. 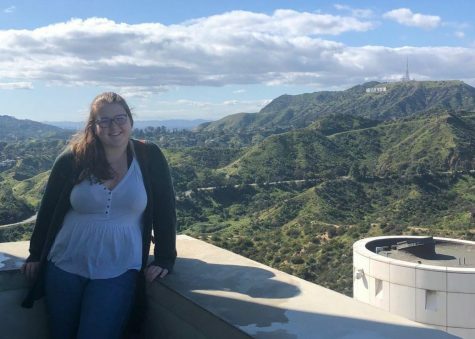 From visiting historical landmarks to indulging in local cuisine to shadowing students and living with host families, the students experienced the French culture as more than just tourists. Led by French teacher, Leslie Natzke and accompanied by English teacher, Tamara Jaffe-Notier, the students embarked on an 8-hour plane ride for France on Thurs., March 21. Spending their first two days of the trip in Paris, the group visited famous attractions such as the Eiffel Tower and the Cathédrale Notre-Dame. The real fun, however, came once they reached their destination of Le Mans. “There were students on the trip who have never been on a plane before; students who’ve never spent a night away from their parents. Just the fact that they can go and learn how to look at another culture and see it without judging, just keeping an open mind, was something they couldn’t do if they went only as ‘tourists,'” Natzke said. The aspect of the trip that allowed the students to fully immerse themselves in the culture, beyond being tourists, was their homestay. Having hosted 20 French students earlier this school year, the students happily reunited with their friends and switched roles in this second part of the French-American exchange program. This time, the American students lived with French families and shadowed French students at school. As observers this time around, the students noticed many vast differences between the two cultures. From having two-hour lunch periods to often leaving school at 6 pm, they were given better insight into their peers’ cultural values while experiencing their schedules. Specifically, many students observed how valued ‘good’ conversation was, as it took up the bulk of their meal times. They further observed these values in their homes — where they were able to cook with their host parents — or when they went out with their host siblings and their friends. Junior, Amani Laliwala, noted how the homestay aspect of the trip influenced the overall experience. 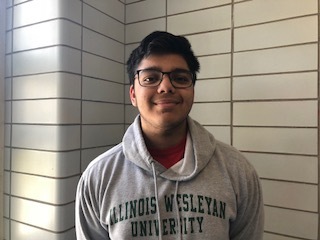 “It helped me accept and respect difference because living with my host family opened up my eyes to a new perspective that I wouldn’t have seen before the exchange,” Laliwala said. Of course, the students did more than just go to school — they explored. With their host families, the students had the opportunity to dive deeper into the history of the culture by visiting castles in the city of Amboise, such as the Château du Clos Lucé — where Leonardo Da Vinci lived after being exiled — and the Chapel of Saint-Hubert — where he was buried. The next day, Natzke then planned a trip where they traveled down to the city of Angers. Unfortunately, the group wasn’t allowed to explore inside more castles there because there was a special guest in town: the president of France. Still, the group visited museums and old chapels where the ceilings were covered in glass. After over a week of exploring different cities and towns of France, it was time for the students to go back to America. Tears were shed as the students said goodbye to their French families and friends and took a train back to Paris for their flight back home. Unexpectedly, after waiting hours in the airport, their flight was canceled due to the plane’s technical issues and the group’s stay was extended an extra day. Normally, this would have frustrated them, but in this case, it was simply an extra day to explore, eat pastries, and take in France’s unique culture one last time. Overall, the students and teachers on the trip described the experience as unforgettable. 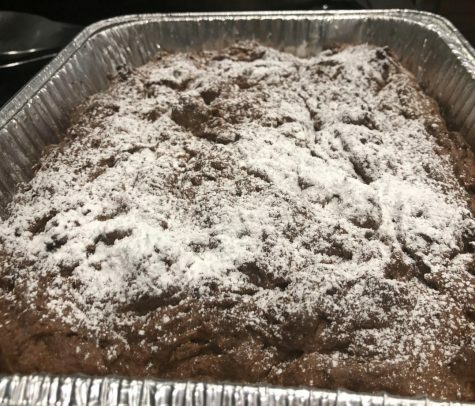 From learning how bread is made to living with French families, the students came back to America with a better understanding and appreciation of the culture. “The exchange trip makes you try new things and step out of your comfort zone, as well as forming life long relationships. When we were in France, our host families became our brothers, sisters, and parents,” junior Niyah Poole said.